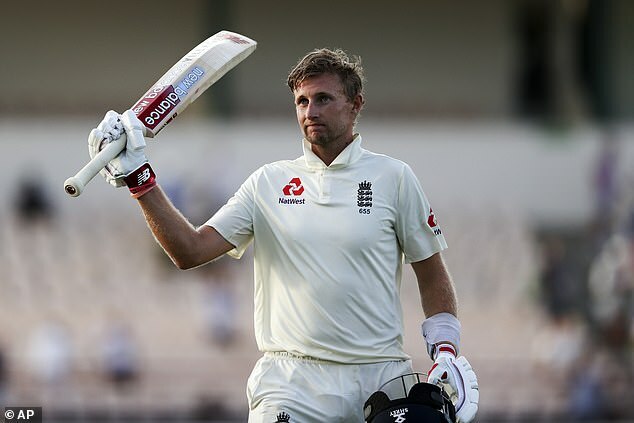 England captain Joe Root has been caught up in a homophobia row with West Indian cricketer Shannon Gabriel after the fast bowler allegedly called him gay during an abusive onfield rant. 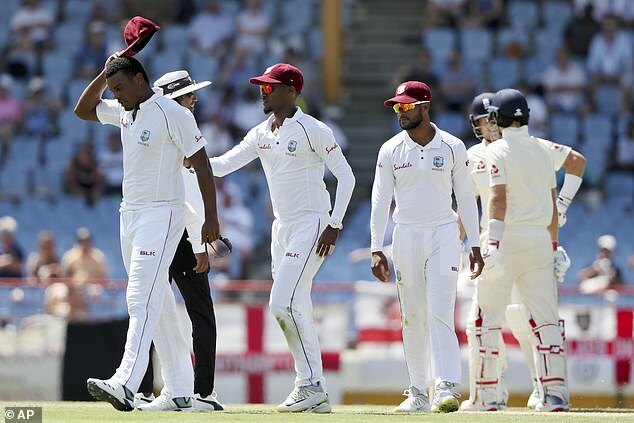 Gabriel was warned by the umpires for using foul and abusive language towards Root, who responded to the sledging by saying: ‘Don’t use that as an insult. There’s nothing wrong with being gay’ . 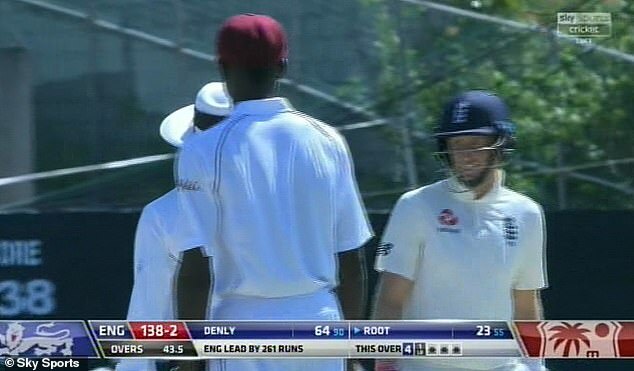 Footage from Sky Sports emerged on social media that appeared to suggest England captain Root made his strong reply to Gabriel in the 44th over of the second innings. 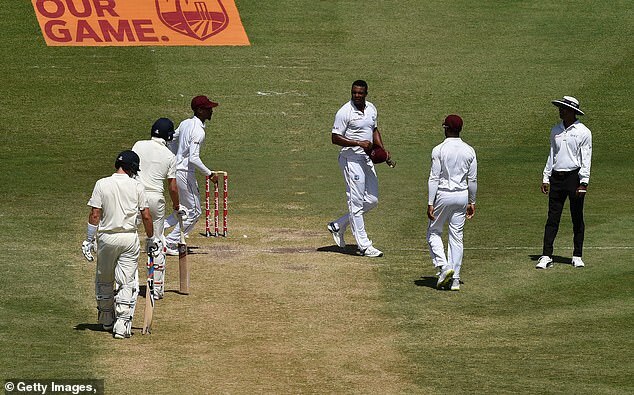 In St Lucia where the third Test is being played, homosexual activity between men is illegal and can be punished by a prison sentence. 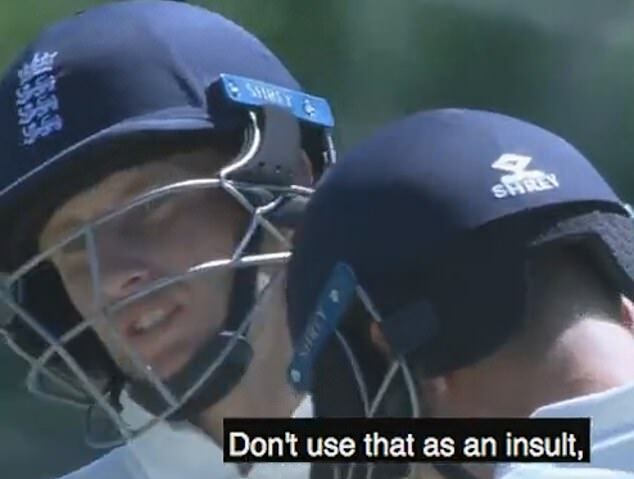 Cricket fans praised Root for his inclusive response, with one calling him a ‘top man’. Twitter user Rosie Gage said: ‘What a man’. 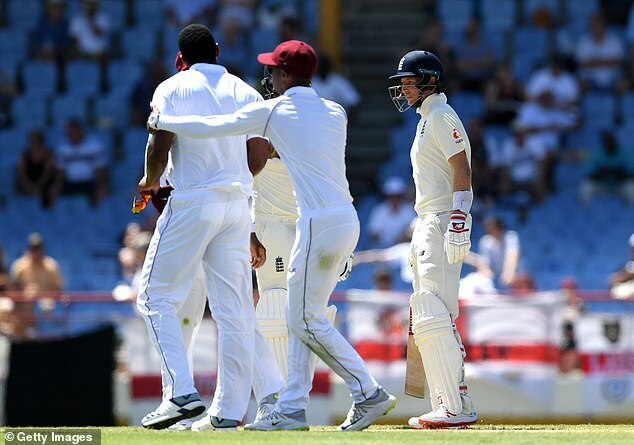 Root said: ‘It’s Test cricket, he’s an emotional guy trying to do everything he can to win a Test match. ‘Sometimes people say things on the field they might regret, but they should stay on the field.